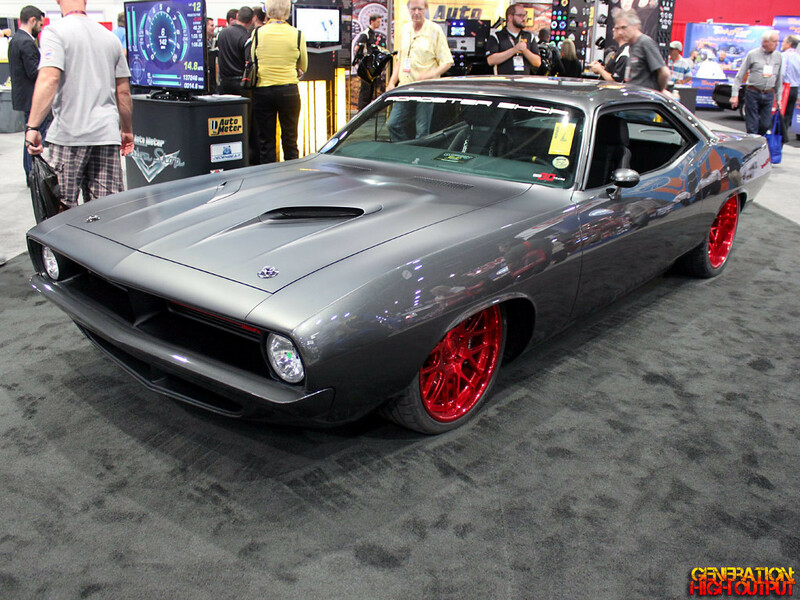 We spotted this 1970 Plymouth Cuda nicknamed “Hellfish” on display at SEMA 2014, mere steps away from its cousin, the 1968 Charger. Like the Charger, this car was also built by The Roadster Shop, who seem to be up to their ears in vintage Mopars lately. This is a car that’s big in every way. Big body, big engine, big power, and big wheels. The HellFish sports a twin-turbocharged HEMI V8 engine putting out 1,000 horsepower. I imagine the only thing keeping it grounded are the transparent red Forgeline DE3C Concave wheels, which are 19 inches up front and 20 inches in the rear. These custom wheels are wrapped in meaty 275/30ZR19 and 335/30ZR20 tires, respectively. But the HellFish Cuda is not just a straight line burner; it can take corners, too! 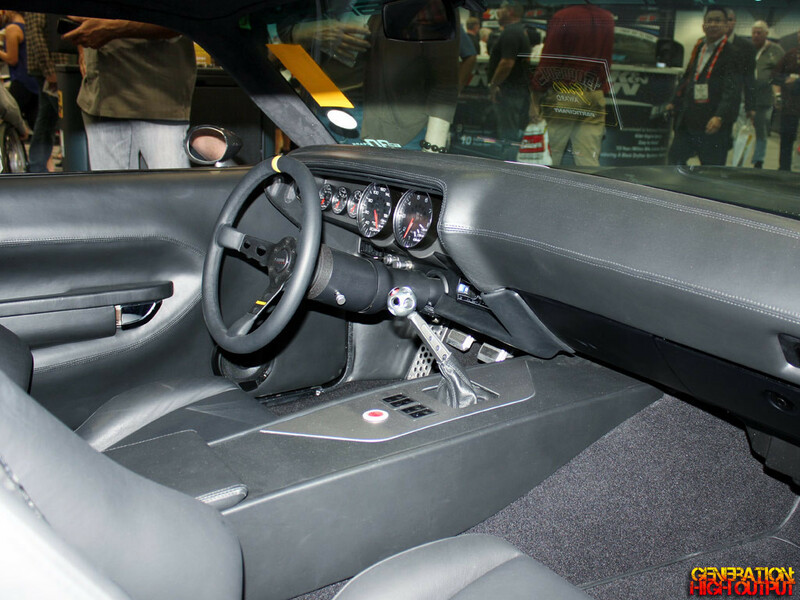 The car rides on a Roadster Shop FastTrack chassis which gives it that “just right” stance. Combined with Wilwood disc brakes and a full set of AutoMeter gauges, this is a car that can slide around the cones with the best of ’em! We’ve gotta hand it to The Roadster Shop and AutoMeter on their awesome pro-touring build. Nice job everyone! This entry was posted in SEMA and tagged 1970's, Cuda, HellFish, Hemi, Mopar, muscle car, Plymouth, pro touring, Restomod, SEMA 2014, The Roadster Shop by Trevor Freeman. Bookmark the permalink.